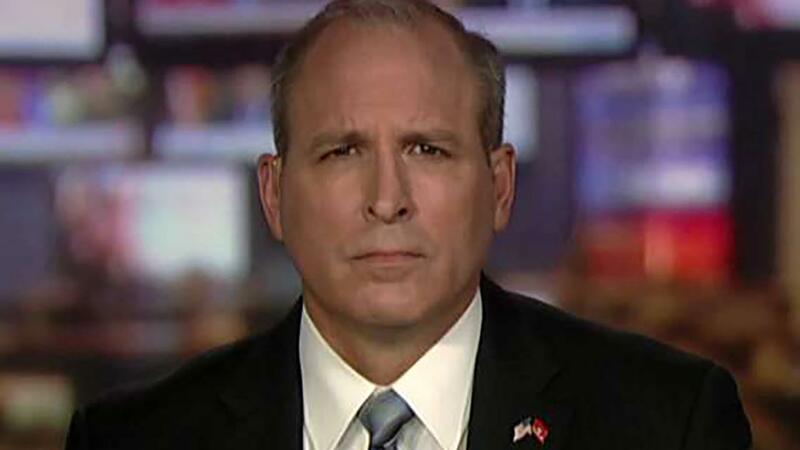 The Border Patrol is on pace for over 100,000 apprehensions and encounters with migrants mostly from Central America seeking asylum in the U.S.; reaction from Mark Morgan, former U.S. Border Patrol chief under President Obama. I agree the current crisis is not the same as it was in the late 1990s: It’s worse! In 2016, as chief of the U.S. Border Patrol, I had a front-row seat for the impact of the “catch and release” policy, which effectively mandated border enforcement agencies release unaccompanied minors and family units into the interior of the United States, notwithstanding they had illegally entered our country. What began in 2014 as phenomenon of an influx of families and children from the northern triangle countries has exponentially grown, resulting in a drastic shift in the demographics of those illegally entering the U.S. The number of Central American migrants exceeded the number of Mexican migrants in four of the past five years, reaching 75 percent of the crossings this fiscal year. The increases and demographic changes in illegal crossings are direct responses to our broken legal framework being exploited by the cartels and migrants. The loopholes in our asylum laws, nonsensical judicial precedent, overwhelmed immigration processes and lack of detention space have helped drive what has devolved essentially into an open-border policy. Central American families are incentivized and rewarded to come and illegally enter our border because they know the Department of Homeland Security must release them within 20 days by law and they will be allowed to remain in the U.S. indefinitely while awaiting immigration court proceedings. It’s simple – they step one foot on American soil, say the magic words under “credible fear” and within a few days they’re allowed into cities all across the U.S. What should sound additional alarms of concern is most of the family members either lack proper identifying documentation or effective vetting of what they do produce is impossible. We know virtually nothing about who we’re letting in! Once in, they are typically never to be heard from again. What is happening is counter-intuitive to the rule of law and defies the basic principles of sovereignty. And before the false narrative begins – “but they’re fleeing from extreme violence and persecution,” – let me just say, ‘False.’ Although more than 80 percent meet the initial credible fear claim - because the threshold is non-existent - only 15 percent are found to have valid asylum claims, which debunks the outrage often used in pundits’ talking points. It’s not complicated – they are being pulled here for two reasons: economic equality and family reunification. Neither are valid claims under the asylum process. Nevertheless, we continue to facilitate an abuse of our laws and the generosity of our country. There are more than one million illegal immigrants in the U.S. who refuse to comply with deportation orders of removal. It gets worse. There is another false narrative which continues to gain steam. It goes like this: “But the numbers of illegal immigrants are way down so it’s not a crisis.” Any student who has taken a basic statistics course knows you can manipulate raw numbers to support just about any position on either side of the aisle. It’s essential to look at the context behind the numbers to evaluate their true meaning. In the late 1990s and early 2000s, there were more than 1.5 million apprehensions at the border. These are the raw numbers the uninformed politicians and pundits use to disparage the administration’s position. What they don’t tell you is the overwhelming majority were Mexican adults, of which 90 percent were deported, often within hours of being apprehended. Additionally, a third of those apprehended were repeat offenders, so the realistic number of migrant apprehensions was well below what’s reflected. It’s anticipated CBP will apprehend a million migrants attempting to illegally enter our borders this year. So, using numbers alone, without any further contextual analysis, we’re experiencing an increase we haven’t seen in almost two decades – back when there was a bipartisan acknowledgment the numbers themselves demonstrated a crisis. However, with the changing demographics, context is a game-changer. It’s not just about the total numbers. Currently, 60-65 percent of those illegally entering today are families or minors. We know, because of our broken immigration laws and system, that they will be released into the interior of the U.S. Therefore, as the apprehensions reach one million this year, the unconscionable result will be the release of 650,000 immigrants into the U.S. That is more than the entire population of Wyoming. Contrast that with the late 1990s, when we experienced one million apprehensions and less than 100,000 were allowed into the U.S.
A thorough historical analysis clearly shows we are experiencing a crisis greater than we have in recent times. The changing demographics have overwhelmed our law enforcement resources, as well as our non-profit and faith-based organizations. The entire immigration system is overrun. They’re not at the breaking point, they’re past it. Border Patrol resources are being pulled off the front lines to address the unprecedented humanitarian crisis while the cartels further exploit our open borders, increasing the threat to our country. It’s time to stop listening to those driven by a personal political ideology and arm yourself with facts, thorough analysis, and the perspective of credible experts. It’s an emergency. Morgan, former U.S. Border Patrol chief under President Obama.